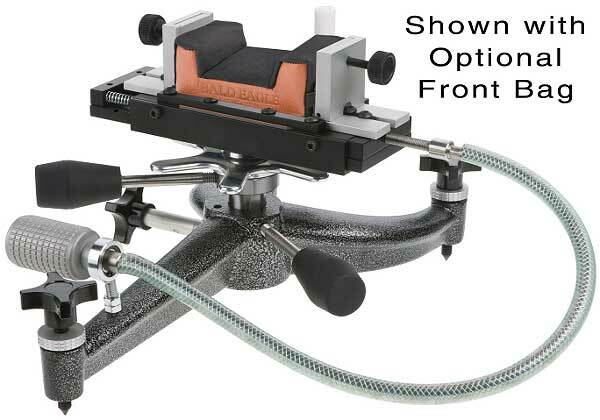 Need a high-quality front rest at an affordable price? Here are some of the best deals we’ve seen in years. Bullets.com just announced a massive price cut on its Bald Eagle brand front rests. Both the regular rests and the deluxe rests with flex-shaft windage adjustments are on sale. 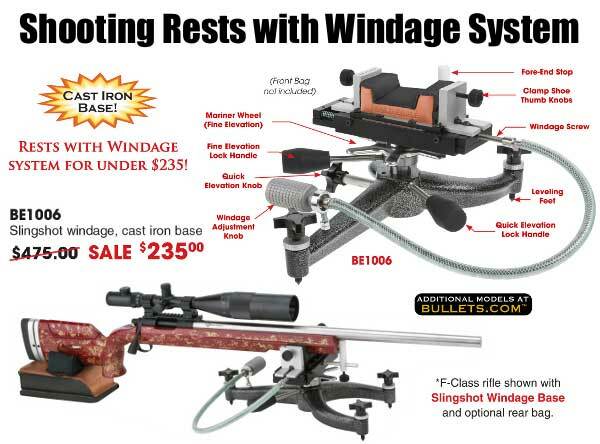 (These windage-adjustable rests are great for F-Class shooting.) 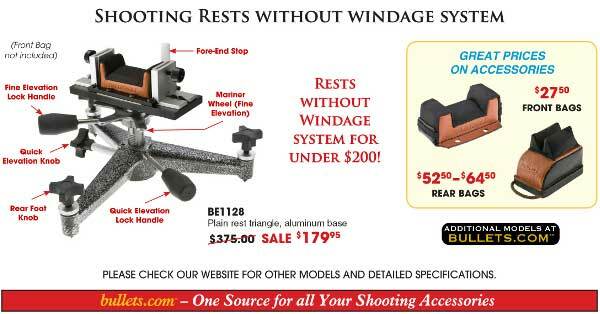 Windage-adjustable rests start at just $215.00, while the conventional rests are marked down to $179.95 (less than half the original price!) Choose from Cast Iron or Aluminum bases, triangle or slingshot (wishbone) footprints. These are high-quality rests, with CNC-machined parts. They have been used successfully by many top F-Class and benchrest shooters. Along with offering super deals on front rests, Bullets.com has also slashed prices on its front and rear sand bags. Front Bags are marked dow to $27.50, while Rear Bags are on sale from $52.50 – $64.50. Large-diameter F-Class rest feet are also on sale currently. Get more details at Bullets.com. Share the post "Huge Discounts on Bald Eagle Front Rests from Bullets.com"
Looking at the pictures,these rests’ tops have a feature that the original Bald Eagles did not. They have hold down plates for the straps that are there to secure the sand bag. This is a definite improvement. I had one of the originals, and it was a good top, but I missed the feature that was on my other tops. IMO these prices are a real value. Editor: Grizzly is owned by the same folks that own Bullets.com. The Grizzly pricing is also listed as SALE pricing. These discounted SALE prices will not be available from sources other than Bullets.com or Grizzly.com, which are operated by the same parent entity. Please advise cost of BE1006 with optional rear bag to include shipping to Australia.